The fallout between Huawei and the US authorities is reaching Shakespearean scale. 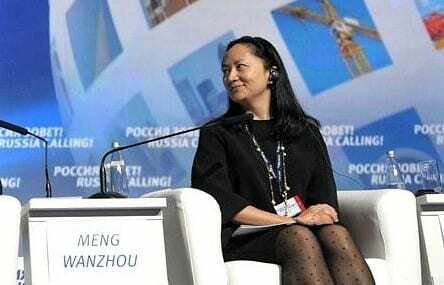 On 1 December, Meng Wanzhou, Huawei’s CFO, vice-chair of the Board, and the daughter of the founder of the company, was arrested at the Vancouver airport while in transit to China. Several media outlets originally reported the arrest, though it has now been confirmed by Huawei. Canadian law-enforcement source suggested the arrest was made at the request of the United States, which has alleged Huawei, and Ms. Meng, violated American embargo against Iran. A New York Times report quoted Senator Ben Sasse that the US Treasury and Commerce Department also asked the Justice Department to investigate Huawei for possibly violating the same sanctions. The timing of the report was also interesting. The arrest took place on the same day as the American and Chinese presidents agreed on the 90-day truce to the trade war and a myriad of issues. For four days there was no mention of the arrest in any media or official channels, and the Chinese Embassy in Canada only lodged a complaint, much angrier than the Huawei statement, after the report came out. One can only speculate that efforts to scramble a deal behind the scenes must have failed.